If you’re too young or too old, you may not think of the 1980s as the best decade ever. But you’re wrong. We had time-traveling, stainless-steel cars; whip-wielding, Nazi-killing archeologists; freshly imported Norwegian synth-pop, and the Nintendo Entertainment System. Are you even questioning this? The ‘80s were the absolute best. Yeah, bad stuff was happening here and there, as always, but for the most part we were all feeling pretty good. And in the world of photography, stuff was happening. We were focusing with electronic motors and infrared beams (what?!) instead of our silly fingers, like apes. Nikon had invented something called matrix metering, which sounded very science-y. Kodak made it so we no longer had to manually set our film speed. Holy damn. That’s amazing. So the guys and I here at CP thought we’d celebrate this great decade of innovation and optimism just like we did for you ‘90s kids a few weeks ago. Here’s our list of five cameras that are undeniably ‘80s in look, functionality, and design. This is a serious camera, and when it was released in 1985 it became a sensation. The first camera to incorporate a successful and adequate autofocus system and motorized film advance, the 7000 did all this and more in a surprisingly small package. In fact, when this camera was released there was no camera on the market to rival it in terms of sheer functions and features. It was, by all rights, a masterpiece. It’s one of the most ergonomically perfect cameras you can shoot today, in many ways foretelling of the designs that SLRs and DSLRs would adopt for the next thirty years. But where its successors in the ‘90s and ‘00s would be bulbous plastic orbs, the 7000 is a muscular brick of angles and edges. Its raucous autofocus and film advance motors are delightfully vocal, the viewfinder is massive and bright, and the switches and buttons scream ‘80s sportscar. As with any system camera, it’d be worthless without good lenses. Thankfully, Minolta’s A-mount glass, which launched alongside the new camera, is fantastic. Some of the best optics in the world at the time of release, these lenses are still solid performers today (and can be used on Sony’s modern DSLRs as well). All told, the 7000 is one of the most historically significant cameras of the autofocus era, and it’s a camera that pushed the entire industry forward once again. And since the camera (for unknown reasons) doesn’t get much respect these days, they can be found for between $30 and $100, depending on condition and pack-ins. For a pro-spec camera, and one of the best machines of the 1980s, this is a phenomenal deal. Get one now, before more people catch on. Minolta’s 7000 had officially unleashed the autofocus hounds. This technology, terrible in the past, was finally ready for primetime, and Canon had to catch up. They unveiled the T80 just two months after Minolta’s big reveal, but where the Maxxum 7000 would be a massive success and go on to spawn numerous cameras in the line for the next twenty-odd years, the T80 released to a universally tepid response. Pulling heavily from the design ethos of the earlier T70, the T80 was essentially a T70 with autofocus ability hastily added inside the barrels of three dedicated lenses. The design is bulky, clumsy, and totally ‘80s, looking like some sort of contraption pulled from the frames of Bladerunner. It’s a fairly capable camera, in that it offers a variety of shooting modes and Canon FD glass. But its slow autofocus system, relative scarcity, and somewhat fragile build make it less of a truly viable camera today than some other machines. Add to this the fact that the camera was only produced for 14 months, and it’s easy to call the T80 a botched stop-gap until Canon could unveil their entirely new EOS system. Though I’ve used one here and there and always enjoyed the experience, the T80 makes this list more for its ‘80s aesthetic and relative novelty as Canon’s first AF camera, rather than on the strength of its functional merits. Out of all the masterpieces Nikon made during the ‘80s, the one that sticks out as being definitively of that decade is the Nikon FA. Sure, the F3 is the BMW M1 of cameras and the F4’s got the design of a discarded Tetris piece, but the FA is the SLR that really embodies both the best and the worst of the decade. On one hand, the FA represented the best of the innovative spirit of the 1980s. It featured a blisteringly quick bearing mounted titanium honeycomb shutter that topped out at 1/4000th of a second, a brand new LCD display system in the viewfinder, and AMP metering, otherwise known as matrix metering. All of these features are still in use on today’s DSLRs and mirrorless marvels, which speaks volumes about the FA’s influence. But like the song “We Built This City” time has not been kind to the FA’s charms. Its matrix metering, while advanced for the time, now looks primitive compared to the metering systems found on cameras produced even just a few years later, like the Olympus OM4Ti. The FA’s plastic body and comparatively fragile electronics have also contributed to its reputation for being an unreliable camera. To some of the Nikon faithful, the fragile, technologically excessive FA can look like a betrayal of the normal Nikonian values of austere design and reliability, but it’s the FA’s brash ‘80s glitz that makes it the quintessential Nikon of that decade. This one’s here mostly because it’s the camera my brother used whenever our parents bought film (that 110 stuff, you know). It was one of Kodak’s best 110 cameras, which means it was a terrible camera if you care about image quality, or features, or capabilities. If, on the other hand, all you cared about was pointing and shooting, it was a decent machine. It wasn’t anything special, but it’s the camera I remember using when I was a kid. And I suppose it did take pictures, so that’s something. What’s more incredible than that, is that it can still be used today. There are some wacky shops producing and processing 110 film. It’s not cheap, and the results are… let’s call them, aspirational. But if you’re looking for the authentic ‘80s point-and-shoot or to reminisce about your long-lost past Saturdays watching Inspector Gadget, this is a good way to get those feels. If there’s any camera that’s more painfully ‘80s than the others on this list, it’s the Ricoh FF90. How ‘80s is it? More ’80’s than popping your Flock of Seagulls cassette in your Toyota MR2’s tape deck on your way to the local drive-in screening of Big Trouble in Little China. More ’80s than Levar Burton’s glasses in Star Trek: the Next Generation. 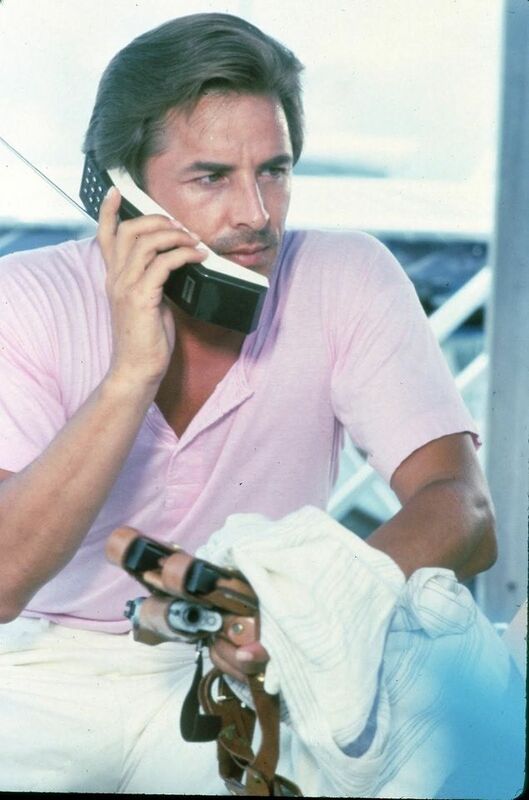 More ‘80s than Don Johnson’s entire existence. Yeah. That ‘80s. This camera’s all glitz and glamor on the outside, but offers almost nothing special on the inside. It’s basically the same as any other ‘80s point-and-shoot with a 35mm f/2.8 lens, but its button-laden design suggests that it was capable of absolutely everything. Alas, like many consumer products from the ‘80s it was capable of far less than advertised. Oh well. At least it looks cool. Sort of. And if we’re being honest, its retro looks are probably what’s made this little camera a cult classic today. Or maybe it’s that ludicrous LCD display. Who knows. The lens is supposed to be pretty hot as well, but if I’m being honest, all of these compact point-and-shoots are pretty much the same. Get one that weighs more than 10 ounces and it’s probably decent. But among the samey point-and-shoots, the FF is pretty ’80s. And that’s our list of the good, the bad, and the ugly of 1980s cameras. If you’ve got a camera that really oozes that ‘80s vibe, let us hear about it in the comments. Want your own ’80s camera? Fujifilm XF 23mm F/2 WR Lens Review – The Fuji X Series’ Best Kit Lens? No Kodak Disc camera? C’mon! Credit for that goes to one Jeb Inge! The Nikon FA may be dated, and it is certainly more plastic-y feeling than the FM/FE bodies, but it still works extremely well. I used one off an on over the past year, and really liked the metering and the compact size. The matrix metering is certainly more primitive than the metering in my D750, for instance. But it still works very well, even in low light. A nice feature is a switch that lets you switch between AMP and traditional spot metering. I kinda like the way the Nikon F4 looks. I have one, so I’m partial I suppose. What I love about my F4 is all the “classic” Nikon glass fits. So my F, F2, and F3 can rest in a display and not oorry about getting broke. F4 all the way! I have purchased 3 Maxxum 7000s. Only the first one was in working order. Unfortunately, I bought that one to give it to a friend. The other two had this apparently common problem where the aperture control magnets fail and every shot is taken at f/22. Oy. You’re right — these are wonderful cameras to use. But if my experience is any guide, you have a 1 in 3 chance of getting a good one. I wish the minoltas had better survivability. My 7000 and 7000i had their rubber grips crack into pieces. All of my pre 97 minoltas have lcd bleed. Two lenses with sticky apertures. Yeah those grips can be a problem. My experience is that they will last forever as long as the cameras are stored without batteries installed. Unfortunately, no one removes the batteries before stashing these things in a closet for 14 years – the batteries leak, the acid gets on the grip, the grip cracks. I had an Ektra 110 the basic one without a built in flash…..went mad with it and took many pics, some actually ok. It was my UFO camera too, in that I took it everywhere just in case…..all the best, Scott the Aussie. In UK. I like that phrase, UFO camera. Thanks for checking in pal! Just found the site and love it. These days I shoot a Nikon FE that I have owned and loved since 1996, and a pair of Olympii, Olympussess?? a Trip 35 and a 35RC. Love them both, had them only a short while and the RC needs a good clean. Yeah the UFO camera – Ive been a skeptic since I was 14 but before then I was always ready to make history with a shot of a alien spaceship – or is it a hubcap, or a chicken feeder?? I would have to say that NOT getting all my shots made into prints, just negs and a scan is a revolution for me. Then I pic what I made into a bigger print. Film is the way of the future! Nikon n6000 or f601m. Much better than Nikon FA. Motorized, different ways to meter light, bracketing, LCD, etc. Light and small. Much more ergonimical than FA, FM, F3, etc. Easy to servcie, And dirt cheap. Probably the cheapest and most underrated Nikon of all times. T80 … really? I would have thought that the Canon AE-1 Programme would be more representative (at least it is in the commercial link you provided). Mine was the Pentax ME Super. It was my first SLR when I was in college. Before that it was the Keystone 110 with flash. Early 80s for sure!